A team of Israeli scientists said they may have found the first complete cure for cancer. 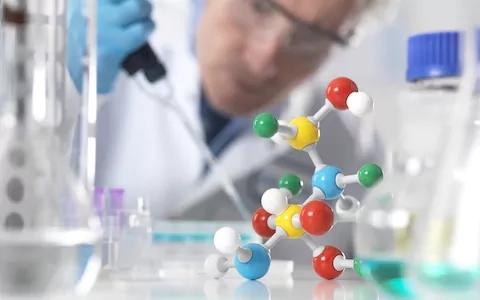 Accelerated Evolution Biotechnologies Ltd. (AEBi) chairman of the board Dan Aridor and CEO Dr. Ilan Morad say their treatment, which they call MuTaTo (multi-target toxin) is essentially on the scale of a cancer antibiotic, The Jerusalem Post reported on Jan. 28. “We believe we will offer in a year’s time a complete cure for cancer,” Aridor said. Morad said AEBi has concluded its first exploratory mice experiment, which inhibited human cancer cell growth and had no effect at all on healthy mice cells, the report said. AEBi said it also has conducted several in-vitro trials and is on the cusp of beginning a round of clinical trials which could be completed within a few years and would make the treatment available in specific cases. The scientists said many current cytotoxic anticancer treatments aim at fast-growing cells. But cancer stem cells are not fast growing, and they can escape these treatments. Then, when the treatment is over, they can generate cancer again. Because cancer cells are born out of mutations that occur in cancer stem cells, most of the overexpressed proteins which are targeted on the cancer cell exist in the cancer stem cells. MuTaTo’s multiple-target attack ensures that they will be destroyed, Morad said. Morad said the team’s discovery could also reduce the sickening side-effects of most cancer treatments, which stem from drug treatments interacting with the wrong or additional targets, or the correct targets but on non-cancerous cells. Morad equated the team’s concept to the triple drug cocktail that has helped change AIDS from being an automatic death sentence to a chronic – but often manageable – disease. The MuTaTo cancer treatment will eventually be personalized, the scientists said. Each patient will provide a piece of his biopsy to the lab, which would then analyze it to know which receptors are overexpressed. The individual would then be administered exactly the molecule cocktail needed to cure his disease. However, unlike in the case of AIDS, where patients must take the cocktail throughout their lives, in the case of MuTaTo, the cells would be killed, and the patient could likely stop treatment after only a few weeks, AEBi said.